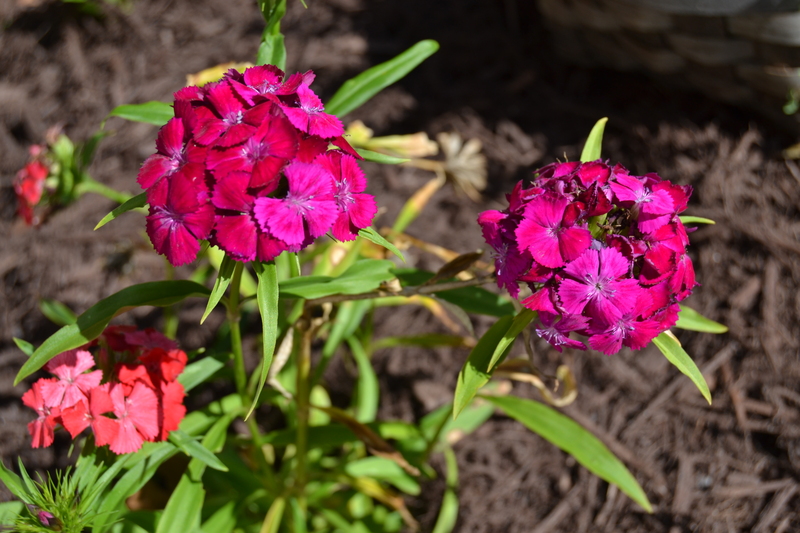 Recently, I told a friend about a memory I had of my grandmother and her (Sweet William) flowers. My friend remarked how sweet she thought that memory was, so I decided to share it in today’s post. During my growing up years, my mom and I lived within about a half mile of my grandmother, so we visited her everyday. There was a short sidewalk leading to her side porch, and she planted rose bushes and flowers along that sidewalk. The Sweet Williams were one of my favorites, and I always asked if I could pick one. Grandma would say: “Wait until they start going to seed.”. I probably watched those flowers everyday, waiting to see the blackness of the seeds showing. At that time, Grandma would tell me to turn the bloom upside down and give it a little shake, so the seeds would fall to the ground. And then I could have that flower. This spring, I bought and planted a few Sweet Williams. 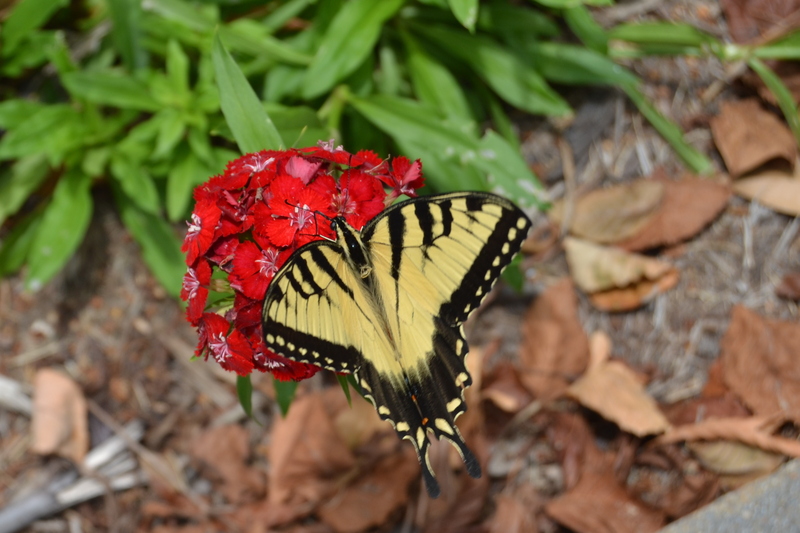 The butterflies and I have enjoyed them all summer. I really thought Sweet Williams only bloomed in the spring, but there are still a few flowers even this late in the summer. There haven’t been many times I’ve walked by them that I haven’t thought about Grandma. Thankfully, Grandma didn’t make me wait until the blooms were this far gone, but as they’ve have died, I’ve turned each one upside down, so the seeds could fall to the ground. Just like Grandma taught me. This entry was posted in Days at Home, Family and tagged family memories, grandmother, sweet williams. Bookmark the permalink. 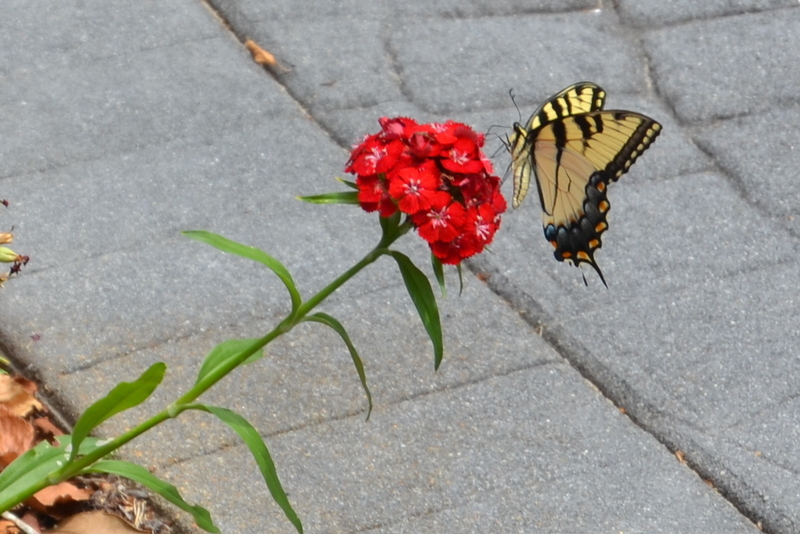 That is a sweet memory…..and I love Sweet Williams too. Funny how some things stick with us our whole lives. Like Pam said, it’s funny how certain things stick with us .. like those seeds shaken out, she created some great memories with you out of the simplest of exchanges. Lovely! Yes, it is a sweet memory!! Living so close to Grandma was a real blessing! I think she and Mama gave us both their love of gardening and flowers. Such a sweet story. My mother always planted Sweet Williams. What a lovely enduring memory. What sweet memories. Sweet Williams were a staple in just about every womans garden in the good ole days. I love them. I love Sweet Williams and this is a sweet post and memory! I had forgotten about Sweet Williams. Thanks for sharing this lovely memory. I read a devotion the other day, that said we should thank the Lord for giving us the ability to remember and hold on to the sweet memories of the past. Some, unfortunately, can’t do that. So….thanks the Lord for the flowers and the memories!! I think it’s wonderful that your Sweet Williams remind you of your grandma’s words of wisdom. Those are the memories we cherish for a lifetime. Sweet memories. Your grandma taught you well. My grandmother had Sweet Williams in her flower garden too. You’ve just prompted me to tell my gardener (hubby) that maybe we need some of them in our garden too. A beautiful flower and memories. What a lovely story! And, I learned something new from you and your grandmother today. 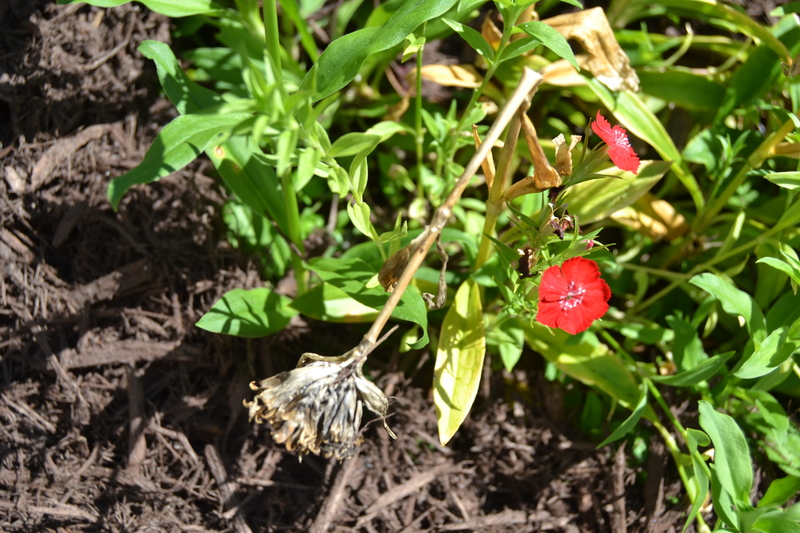 I have some Sweet William flowers and each year it seems like a few fewer flowers come up than the previous year. I’m going to have to go out and turn the flowers upside down, so that they reseed better.